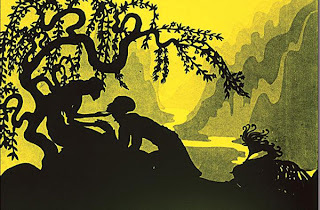 I recently watched "The Adventures of Prince Achmed", a film by German animator Lotte Reiniger from 1926 made completely of paper cutouts. It is absolutely gorgeous and I recommend it to anyone who loves silhouette art and/or vintage animation. I rented it through netflix.